1) Contact one of the Officials listed below to make arrangements for the Marriage. 2) Obtain a Saskatchewan Marriage Licence (mandatory). 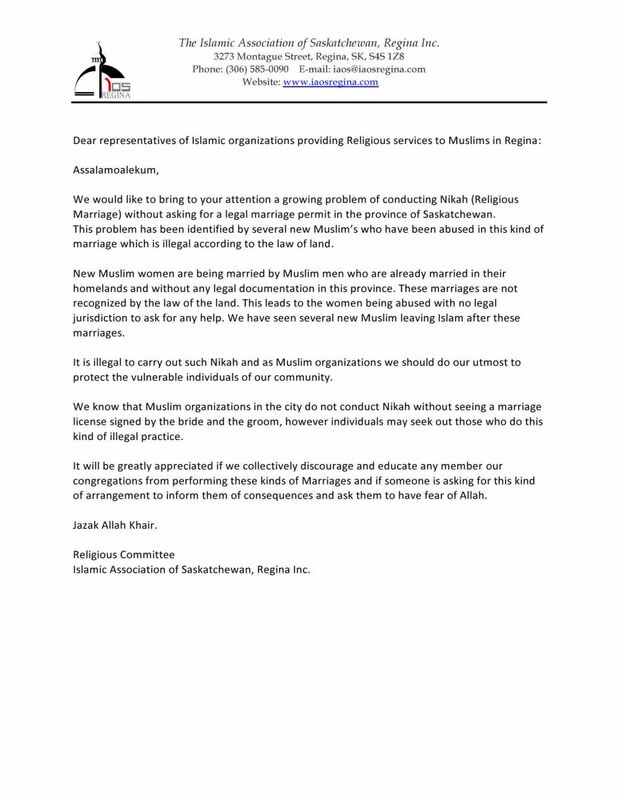 Saskatchewan Marriage Licences are mandatory for all couples wishing to be married under the Islamic Association of Saskatchewan, Regina, Inc.